Dear Sirs,<br> I would just like to thank you for the very good job you did in restoring our broken teak dining chair. 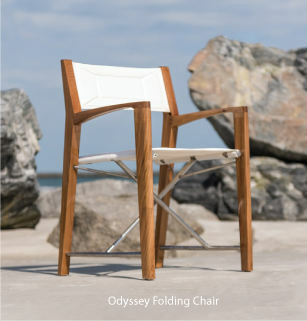 <br>Thank you for doing it so quickly, we have received the teak chair back. Please thank the woodworker who did the job. We would be interested in a big teak storage trunk in teak wood of course,. Should you have that in your inventory one day please let us know, we have always been very pleased with your products and excellent service. Thanks again! Thank you for this follow up. The four chairs arrived just fine. Prior to their arriving, I was particularly concerned with potential shipping damage. That thought immediately was dispelled as soon as the driver unloaded the skid. Your packaging personnel should be commended for doing a great job of crating the chairs. It took a while for me to take the crating apart. But, once I did and opened the first box, I was very pleased with the chair. All four are picture perfect. We couldn't be more pleased. Thanks again for an outstanding product. The order arrived in tact and I am very impressed with the product. I look forward to using the patio furniture when the weather permits! We love the teak table! It is beautiful and we are completely satisfied with it. It arrived in perfect condition. Don't know how it could have been otherwise, it was so well packed. The Watkins driver was very helpful and courteous. Westminister Teak is obviously a well run company and we are delighted with your product and the delivery. Everything arrived well packed and we loved the tables. They are obviously of good quality, and were a breeze to assemble - that's one of the best parts. WE definitely will be back. Thanks for checking up - good service! Arrived in great shape, high quality and well packed your stuff is top quality. Thanbks and keep doing what you're doing . Great stuff, great quality, fairly priced!